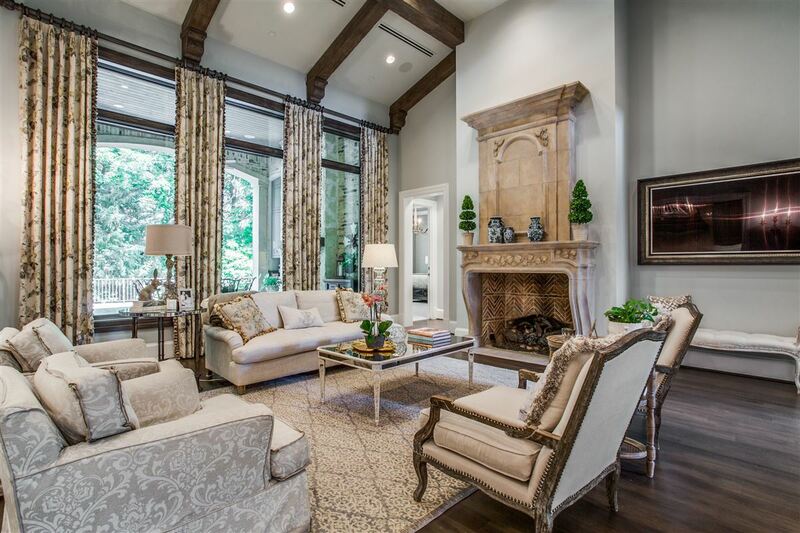 As the builder’s personal residence, this French inspired home in Dallas, Texas offers exquisite architectural detail and superlative quality throughout! 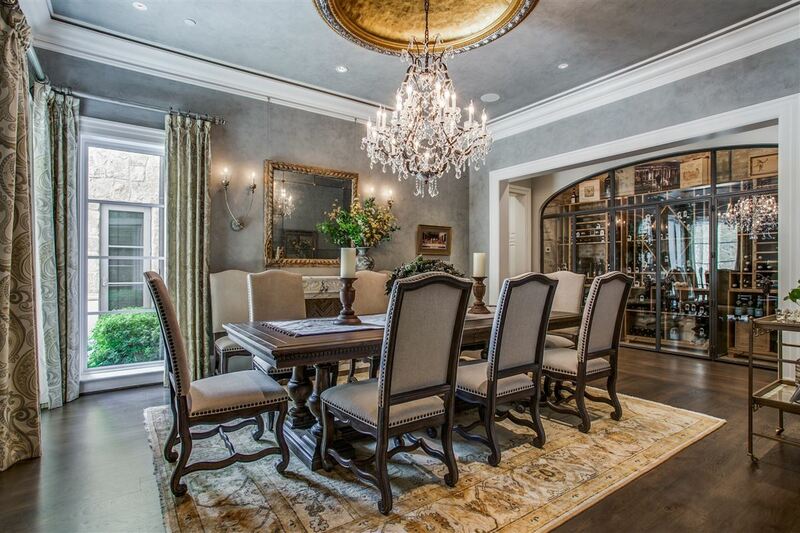 Designed for entertaining, the elegant dining room features Venetian plaster walls, crystal chandelier hanging from the 24-karat gold leaf dome ceiling, a 19th Century marble fireplace from France having French antique firebrick in a herringbone pattern and a dual zoned custom glass front wine cellar that spans an entire wall. 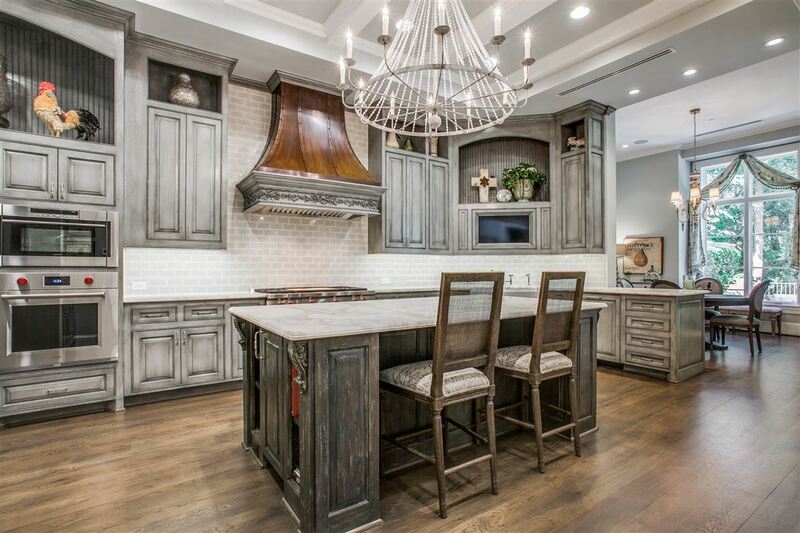 The stylish kitchen has Carrara marble slab countertops, a custom burnished copper vent hood, upscale appliances, farm sink, appliance pantry with coffee bar, two ice makers, and island with bar seating. Overlooking the grounds, is the breakfast room with another beautiful fireplace that includes antique firebrick in herringbone pattern. Open to the kitchen is the oversized family room with a wall of windows overlooking the pool, Douglas fir timbers, and fireplace with hand carved Italian limestone mantel. 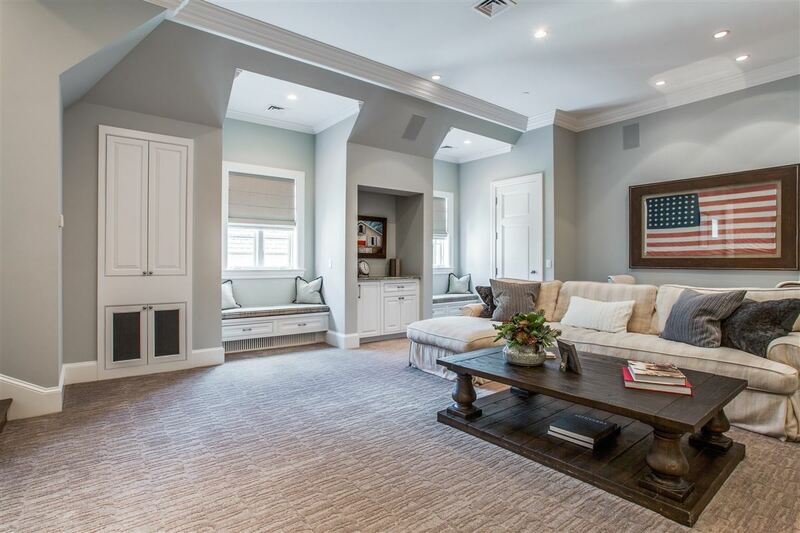 A luxurious downstairs master suite has a fireplace and on the second floor, there are two additional master suites, each having a fireplace, large walk in closet, sitting area, extravagant bath, and adjacent living area. 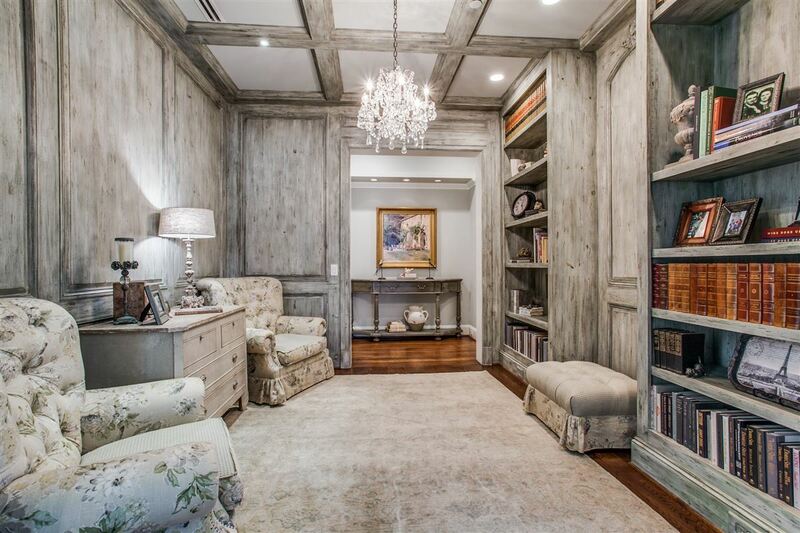 In addition to the handsome study with its rich wood paneling, French oak flooring, and hidden closet, there is a cozy library with crystal chandelier and built in shelving. The large game room has an adjacent craft room. 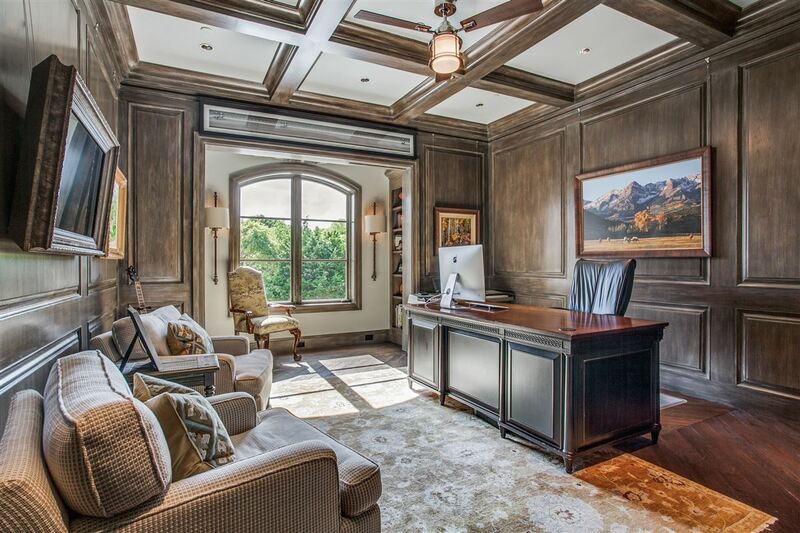 The media room is equipped with a wet bar and has a stairway leading to the garage so could easily be converted to a separate entry apartment. The third level has a living area or bedroom and access to huge fully finished attic storage areas. The private, oasis back yard backs to a creek and tall trees, has a large covered patio with fireplace, separate living area with fire pit and grill, and swim jetted pool. 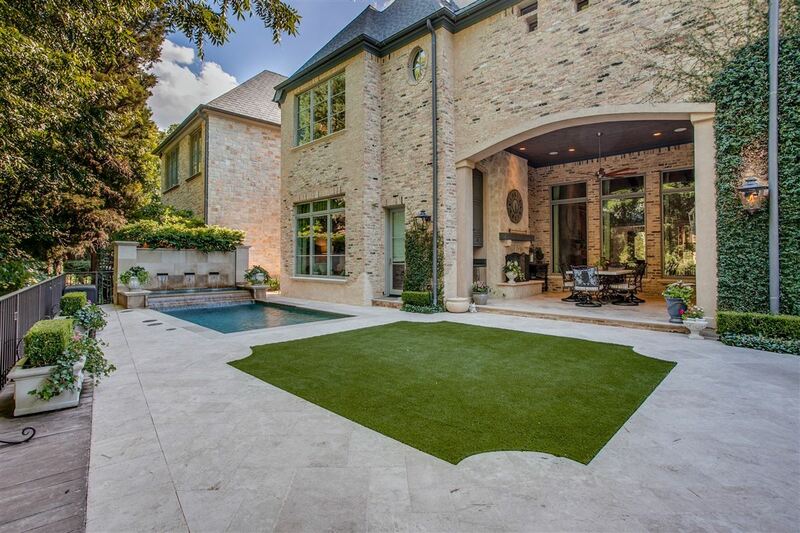 This property is listed for $2.495 million with Ebby Halliday Realtors, an affiliate of Luxury Portfolio International®.